Omdurman — The Forensic Medicine Specialist of the federal Health Ministry, Mahjoub Babikir, said in a statement yesterday that Dr Babikir Abdelhamid was fatally injured by a shotgun from the back, not from the front. The director of the morgue at Royal Care Hospital in Omdurman, Dr Tarig Asakir, explained at a press conference held yesterday that he undertook an autopsy of the body of Mahjoub Babikir with the participation of a number of doctors. He said they found that the gunshot entered the back of the body, from within a distance of four to ten metres. The weapon used has not yet been identified, however, Asakir denied that the wounds were caused by a shot from a close range. 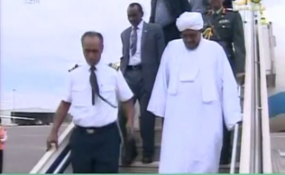 Speaking publicly at a press conference in El Kireida area in the White Nile state, President Al Bashir mentioned the events in Omdurman, saying: "The doctor who was killed, was killed during the demonstrations, with a weapon that is not in the hands of the police or the Sudanese army." A police spokesman on Friday denied the use of live bullets by policemen to break up the demonstrations in Omdurman on Thursday. He failed to elaborate on the presence of security forces in plain clothing who were using live bullets and shot two doctors on Thursday, according to medical reports. In the meantime, Sudanese mourners protesting the killing of Abdelhamid continued their sit-in in front of the martyr's house in Kafouri in Khartoum North. According to the apology statement, the medical group got the report of Obeid's death from "supposedly reliable sources". The statement went on to say: "Through its channels, the Committee continues to investigate the truth (the false report of Obeid's murder) and announce it in due course". The SCMC is part of the Sudanese Professionals Association, a recently-established coalition of groups set up by Sudanese professionals including doctors, lawyers, and journalists.